We are pleased to welcome you to NorthShoreRealty.ca, a site dedicated to those buying and selling real estate in North Vancouver, West Vancouver and Vancouver. Real estate is a dynamic industry, so we at North Shore Realty are on the cutting edge, developing innovative real estate tools, all with you and great service in mind! Let our site be your one-stop resource for all your online North Vancouver Real Estate, West Vancouver Real Estate and Vancouver Real Estate research. We use advanced search technology that enables you to view Vancouver MLS® listings before they appear on sites like Realtor.ca. You can also save searches, bookmark your favourite property listings, and more. Search for homes easily by style, city, map, and even community. Our listing details feature high-resolution photos, neighbourhood maps, Google Streetview and Walkscore® technology. Quintessentially West Coast in flavour, North Vancouver is a utopia for outdoor enthusiasts. With breathtaking scenery, excellent transportation options and amenities within easy reach, you'll find everything from quiet city view properties, to charming heritage houses, to condos with panoramic views of the North Shore Mountains. Hands down, West Vancouver is one of the most beautiful and affluent areas in the province, and is home to a number of exquisite waterfront estates, extravagant heritage houses, and elegant condominiums. The views in West Vancouver are like no other. Learn more about what this picture-perfect area has to offer, and view the latest homes for sale. The city of Vancouver has been consistently voted the best place to live, not just in Canada, but it the world. With so much diversity, character and beauty it's hard to argue with that. There are a variety of home ownership options in Vancouver, from urban lofts to multi-million dollar mansions and everything in between. The North Shore is made up of three different areas, but are cumulatively referred to as "The North Shore" by locals and residents of Vancouver. Together, the District of North Vancouver, the City Of North Vancouver and the District Of West Vancouver, make up the area which is surrounded by water and mountains. The North Shore Mountains, obviously to the north, the Burrard Inlet to the south and at the end of the Trans Canada Highway, you'll find plenty of islands and ocean. 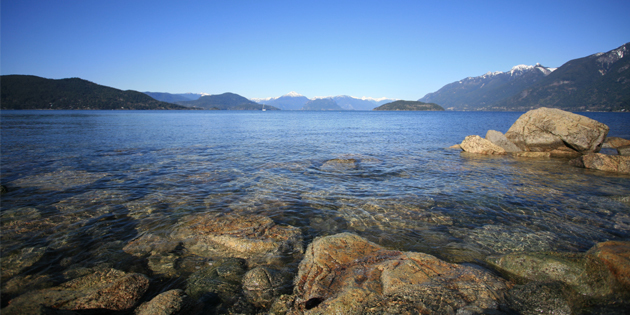 Quintessentially West Coast in flavour, North Vancouver is a utopia for outdoor enthusiasts. With breathtaking scenery, excellent transportation options and amenities within easy reach, North Van homes are highly desirable among buyers and investors alike. You'll find everything from quiet waterfront properties, to charming heritage houses, to condos with panoramic views of the city or the North Shore Mountains. See all properties for sale in North Vancouver. West Vancouver is one of the most beautiful and affluent areas in the province, and is home to a number of exquisite waterfront estates, extravagant heritage houses, and elegant condominiums. The views in West Vancouver are like no other. Learn more about what this picture-perfect district has to offer, and view the latest West Vancouver homes for sale. Are you looking for properties in Greater Vancouver? See our current Vancouver property listings. And don't forget to read up on all the local neighbourhoods, or about the North Shore and Vancouver. For sellers, North Shore Realty will provide maximum exposure when it's time to sell. We're always fine-tuning our online marketing plan, allowing you to have absolute confidence in our services. Your property will sell in reasonable time and for top dollar. We're eager to share our insight into houses, condos, pre-construction, and interesting developments in the local market. We delight in helping people achieve their real estate goals, so when our clients breathe a sigh of relief at the end of a transaction, we're just as happy as they are. Maybe more! So please, have a look around, and contact us with any questions you might have about the housing market or our real estate services. We are RE/MAX REALTORS® who specialize in North Shore Vancouver real estate, and we want to help!